How Do Banks Handle a Mortgage When Someone Dies? Debts survive the death of a borrower, but may be uncollectible. When an individual dies, an estate is created. The estate includes his assets as well as liabilities, including debts. When a secured debt such as a home mortgage is present, the lender has the legal authority to seize collateral if the debt remains unpaid. This means a mortgage survives the death of its holder and may result in foreclosure on the property. The death of an individual normally results in secured debts becoming payable in full. Many mortgage contracts also include a "due-on-sale" clause that allows the lender to demand full repayment in case a borrower sells or transfers the property. If a borrower dies, however, the federal Garn-St. Germain Act bars lenders from "accelerating" mortgage loans. This means that as long as somebody continues paying as required on the mortgage, the lender can't enforce a due-on-sale clause. Mortgages are not voided by the death of a borrower. Instead, they "follow the property." Although ownership changes, the loan remains secured by the land and buildings. The heirs who inherit the property may need (or choose) to pay off the mortgage; this is made easier when there is sufficient equity built up in the home to cover the balance on the mortgage. The lender may also allow heirs to assume the mortgage at the same interest rate and repayment schedule, or allow the loan to be refinanced, which would change the repayment terms. In some cases, the heirs will have to pay off the old loan, then qualify for a new mortgage. If there are insufficient assets to keep up the mortgage, the lender may force a sale by the heirs. The proceeds of the sale would first go to satisfy the outstanding balance on the mortgage, while the remaining proceeds would be payable to the heirs. Even if it's sold, a house with insufficient equity to satisfy the mortgage balance would still be subject to a foreclosure. The new owners would lose the house to the lender unless they're able to pay off, assume or refinance the old loan balance. 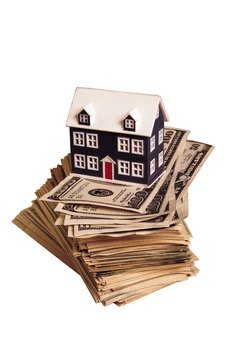 A will may also convey a house to an heir while simultaneously paying off the mortgage debt from the estate. The loan payoff must happen before the heir can take ownership of the house. In the case of an FHA- or VA-backed loan, the guarantee of payment to the lender in the case of a borrower default does not apply -- the estate and the heirs to the property are still responsible for paying the mortgage. Many lenders and insurance companies offer "mortgage life insurance" that will separately guarantee payment in full in case the borrower dies. Kirsten Howe: What Happens to a Mortgage When the Borrower Dies? 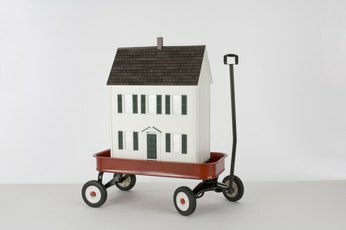 VALoans.com: What Happens to the VA Loan if the Borrower Dies? What Is a Mortgage Surplus? What Happens to the Equity Loan When You Do a Warranty Deed? What If My Home Is Worth Less Than I Owe During Foreclosure? "When You Refinance a Mortgage and Buy Another Property, Does the Bank Own Both Properties?" 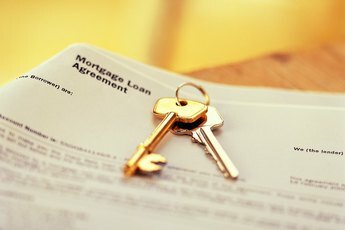 What Is a Release of Mortgage? Can Mortgage Debt Be Rolled Over Into a New House? 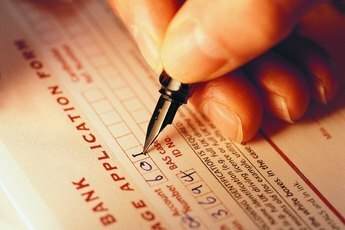 What Legal Obligation Do You Have If Your Name Is on a Mortgage & Not on the Deed? Can the Bank Call the Mortgage if My Husband Dies?